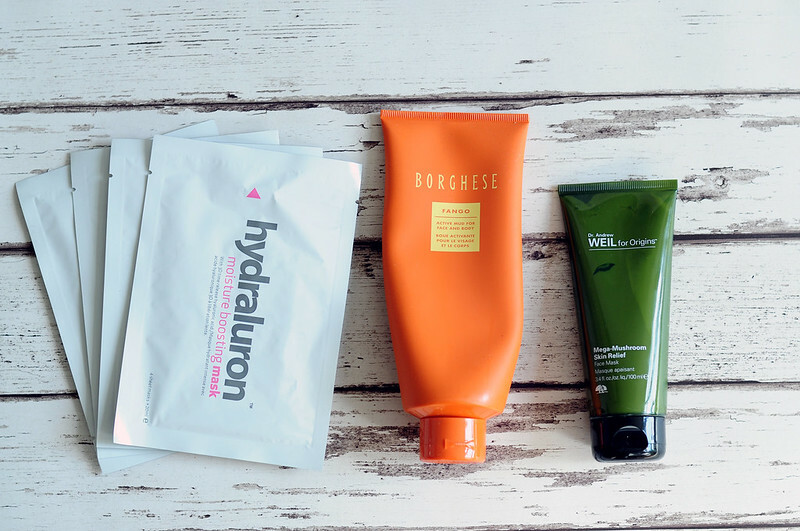 Indeed Labs Hydraluron Moisture Boosting Mask | £19.99 // I really like Hydraluron and always wished there was a mask version and now there is. I would have preferred the mask to be in a tube and I'm hopeful in the future Indeed Labs might bring one out. I was surprised at the price as you only get four sheet masks in the box which works out at £5 per use which is a lot. They do work really well though especially in the winter when my skin is at it's driest. I like to apply sheet masks either when I'm in the bath or when I just want to relax for fifteen minutes and not do anything. Once you remove the sheet mask you massage in any left over residue. Borghese Fango Active Mud Mask For Face And Body | £22.55 // This is a face and body mud mask although I've only used as a face mask. I got this for my birthday after Fleur raved about it. You only need a tiny amount so this tube will last me a long time! As I have sensitive skin I only use this on my t-zone which is the oiliest and most congested part of my face and I haven't had an issues with it reacting to my skin. After I've cleansed and open the pores of my skin I apply a thin layer and leave it on until it dries. I removed it with a damp Liz Earle sponge which helps to remove the mask and also exfoliates the skin slightly at the same time. This mask really does work and clears pores and just makes your skin look fresher. Origins Dr. Andrew Weil Mega-Mushroom Skin Relief Face Mask | £36 // This face mask is aimed at reducing redness and calming the skin, which it does really well. I love the serum and moisturiser from the Mega-Mushroom range so I knew I'd like the mask just as much. This is the most expensive mask from Origins at £35 for 100ml which although I really do like the mask, I just don't think it's quite worth that much. If it was £25 like the other masks from Origins then I'd say it would be. Once I've finished this tube I don't think I'd repurchase it as the First Aid Beauty Oatmeal Mask does a very similar job and is cheaper. I haven't tried any of these! Right now I'm all about Dizao as a brand for masks. And I plan on using the new Estée Lauder foil mask for the first time soon, excited!